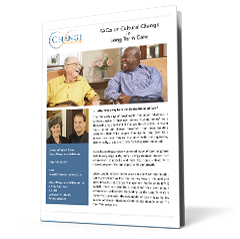 Long Term Care - Change Management Professionals Inc. In recent years, there has been a movement to de-institutionalize nursing homes, moving toward environments that are more like home and less like a hospital. "This is truly a journey that takes time, planning and mindful commitment to improving the lives of those who live, work and volunteer in long term care." Change Management Professionals has the expertise to guide you to success. 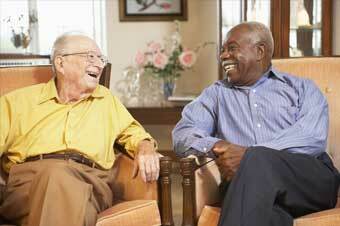 Our services are tailored to meet your long-term care facility's changing needs. Change Management Professionals has worked with several long-term care facilities throughout Nova Scotia since 2007. Our services are customized for each Home’s circumstances based on their change needs – organizational and cultural. We support the CEO/Administrator and Management Team in leading the change in each organization, and work with staff, residents and families to facilitate the desired outcomes. Together we focus on identifying the desired changes, developing a plan of action, implementing the change, and providing support during and after the change. 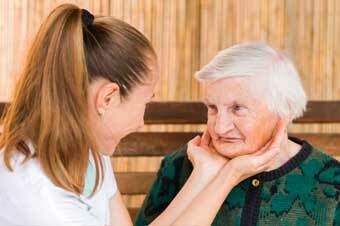 We help you and your team deliver services to your residents in a new way. In 2013/2014, Change Management Professionals, worked with the Administrator and leadership team of Tideview Terrace in Digby Nova Scotia, an Eden Registered home, to decentralize their organizational structure. The new innovative organization structure (which was endorsement by the NS Department of Health and Wellness) provides a new way to deliver service to their residents, brings decision making closer to residents, improves communication across departments and fosters cross-departmental teamwork. Our customized approach helps you hire only those who "fit" your vision. 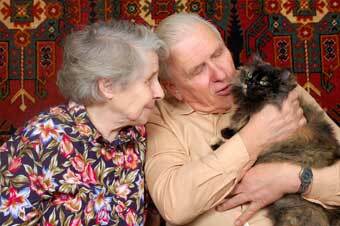 Change Management Professionals assists long-term care facilities with hiring employees who “fit”. We know that every Home is unique in its work and living environment. We know the importance of hiring individuals that “fit’ with the Home’s Philosophy of Care and culture. Our customized approach to hiring, gives the Hiring Manager the assurance that (s)he is hiring people who are the best fit for your Home and your residents. Know with confidence how a candidate will approach their work and interact with residents and other employees - even before you invest your valuable time in an interview! Changing long-term care homes from institutional settings to home-like living for our elders takes careful planning and dedication by all involved. Please feel free to download the answers to questions we hear most often on the subject and the answers we give. "Your passion for everything you do was evident in your commitment to working hand-in-hand with me, the staff and residents of Bay Side Home before, during and after our expansion. That passion was also unmistakable in how Change Management’s team of consultants assisted me and my management team to clearly formulate goals to create a truly homelike environment for all our residents. You introduced Bay Side Home to the Eden Alternative through your invaluable training and guidance. Time spent with employees built awareness and an appreciation of the opportunities each employee has in making a difference in the lives of our residents. CMP has placed us on the Eden journey and truly helped to enhance our vision for Bay Side Home and bring to life the philosophy we have always wanted for residents, their families and our employees."